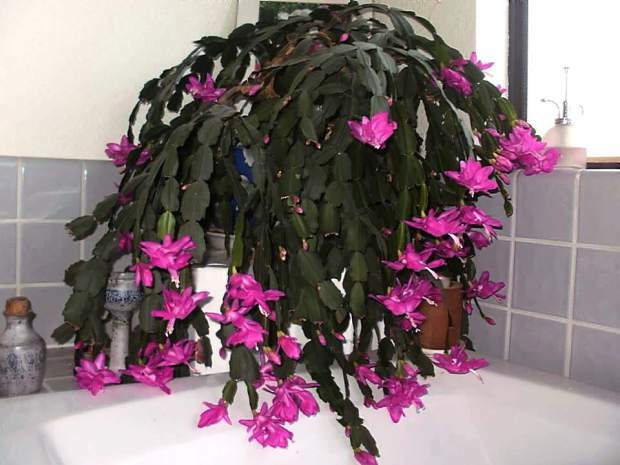 Ann Wright suggests giving the gift of a plant this holiday season, for the plant lovers you know, such as this Christmas Cactus. With the holiday season fully upon us, the count-down to Christmas has begun. Finding just the right gift for everyone is sometimes a challenge and if there is a gardener on your list, there are many great choices. Consider small garden tools, pocket snips for fine pruning, a garden apron or tool belt, or a good pair of gloves. Kitchen composters, leaf scoops, solar garden lights, a garden cart or scooter are also thoughtful gifts. Other gift ideas might include garden books, a gift subscription to a gardening magazine, or a copy of the Western Nevada County Garden Guide, written by Master Gardeners specifically for gardening in the Sierra foothills (available at some local nurseries, as well as the Master Gardener office at the Vet’s Hall, 255 S. Auburn St., Grass Valley. Master Gardeners are on duty at the office from 9 a.m. to noon each Tuesday and Thursday). End of year and commemorative gifts are thoughtful ways to gift in someone’s name and support local non-profits. The Nevada County Master Gardeners appreciate donations to help fund our demonstration garden and local projects. 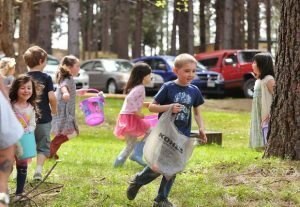 If you would like to donate to this local non-profit, go to the following website and be sure to select Nevada County Master Gardener Fund under the designation section: https://donate.ucanr.edu/pages/ucceplacernevada. The gift of a plant may be a nice addition to someone’s yard — if they are able to plant and then take care of it. Blooming plants are plentiful, and bare root trees are available to purchase or order now. An heirloom apple tree might be a perfect gift for someone with tree space. Another thoughtful way to reach out to a gardener is by offering the gift of your time to help in the garden. Perhaps they need some help clearing out a spent vegetable garden, pruning some fruit trees, or planting spring bulbs. If not done in November, apply dormant spray to fruit trees to help combat scale, mites and aphids. Dormant spray can be applied on dry days from December into February, before bud break. Be sure to thoroughly cover branches, including the trunk. Add acid mulch to ornamentals such as camellias, azaleas, and rhododendrons. Continue to trim out deadwood and overgrown wooded areas. Pines can be trimmed, or “limbed up,” between December and March when bark beetles are dormant. Refer to pest note # 7421 on the UCANR IPM website: http://ipm.ucanr.edu. If purchasing a living Christmas tree to plant after the holidays, select species adapted to our area. Spruce, fir and pines are commonly available for purchase as Christmas trees. Be sure to keep the tree outside until a few days before Christmas, and keep the soil moist. Do not keep the tree in the house any longer than a week and set the tree outside for seven to 10 days to re-acclimate to outside conditions before planting. Store the tree in a place protected from wind and heat until ready to put in the ground. Plant “high”, preparing a hole 12 to 14 inches wider than the spread of the tree, or twice as wide as the root ball. To encourage good drainage, plant the tree no deeper than the root ball. Fill the hole with native soil. The top few inches of added soil may be mixed with organic matter. The list of Master Gardener’s free public workshops for 2018 is now available on the website. Join us for some new workshops starting in February! Meanwhile, for garden questions or concerns, Master Gardeners are available on the Hotline at 530-273-0919, on the website at http://www.ncmg.ucanr.org or tune in to “Master Gardener’s and Friends” radio program every Saturday from 10 a.m. to noon on 830 AM, KNCO. We appreciate all the support over the past year, and wish you all the best for a bright, happy Christmas and productive New Year!